When my daughter was born, I didn't realize how truly lucky I was. She did have skin issues, but only if we used a laundry detergent besides the one we had been using all along. When my son came along, I thought he might be about the same, but boy was I wrong. He broke out from different diapers, wipes, laundry detergents, and even certain foods I ate. He was never diagnosed officially with having eczema, but he a lot of the same symptoms. I am one of those people who baby wipes for everything. Of course during diaper changes, but also meal time clean ups, carpet spot cleans, everything. Baby wipes are great to clean up life's little messes. With a baby (now toddler) like mine who has a tendency to break out with certain products, I like to stick to products with the least amount of chemicals as possible. WaterWipes is a harsh chemical free baby wipe that contains only two ingredients, 99.9% pure Irish water and 0.1% grapefruit seed extract. Both durable and effective without containing any of the harmful chemicals that may be found in other baby wipes, WaterWipes provides a safer, natural option for your little one. Which is why I was happy to find them at my favorite retailers like online at Walmart.com for my little man. This time of year I use baby wipes for everything. Potty training, cleaning hands after making homemade Christmas ornaments, cleaning faces after taste testing Christmas cookies, and so many other household messes. They are strong and can take on almost any mess. I have even used to clean a spill on my carpet! I have actually been using WaterWipes for a while now. Ever since I was first introduced to them last year. They work very well and I can trust that they won't cause my little one to have any skin breakouts. Since my son has allergies and we will be starting testing soon, I want to steer clear of unwanted chemicals, especially around his face. And I definitely use baby wipes to clean his messy toddler face! 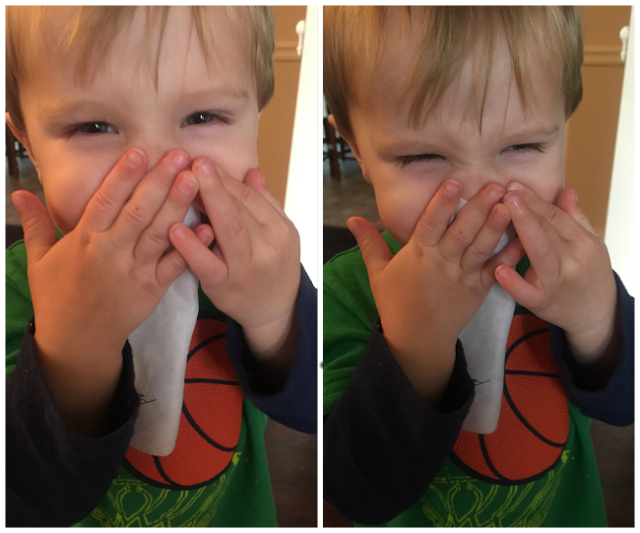 This little man just learned to blow his nose too, so that's why the scrunched up face. I use WaterWipes to help clean noses through cold and flu season too. Making sure I always have some on hand for any holiday event too. I-C is hosting a contest through which one of you can enter to win one of five (5) $100 Walmart gift cards. It's easy, just let me know what you think of WaterWipes! Giveaway ends 12/9. I-C will randomly select winners from all program entries and will facilitate fulfillment of the winning prizes (5 winners). Nanny to Mommy is not responsible for prize fulfillment. Thanks for sharing your contest with us all! With a new baby in the family we can sure do with the latest news on caring! 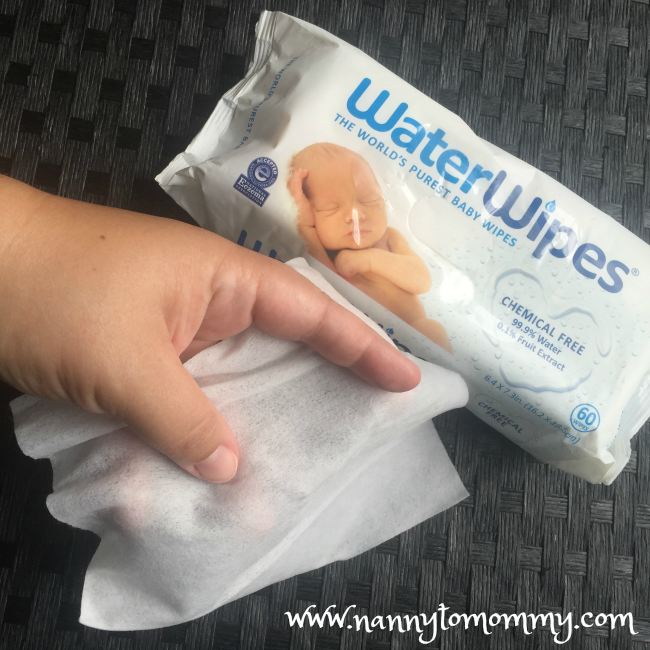 We absolutely adore Water wipes!! They are fabulous for my son's sensitive skin!! Just tried them last week and was very glad we did..no rash. Always wanted one and comes highly recommended by several friends!